It’s time to look at the third film in the Tri series. We have no reached the halfway point folks. This one focuses more on TK as he tries to find a way to make sure Patamon is okay without the rest of the Digidestined getting in his way. It’ll be tough but he’s been through worse. Meanwhile the rest of the team needs to figure out what to do about Meiko and the trouble that the Digital World is facing. This one picks off where the second ended and everyone is panicking. The infection is spreading rapidly and even the chosen Digimon may not be immune. The heroes may have to pull the plug on the Digital World as a whole to save it, but is it worth saving the planet if everyone has to be wiped away? The Digimon are all data at the end of the day, but they have been shown to be able to generate souls within them so isn’t resetting their data just like destroying them? Hard questions will be asked here. While the last film focused on Joe and Mimi this one has Izzy and TK be the focus so I’ll concentrate on those two. 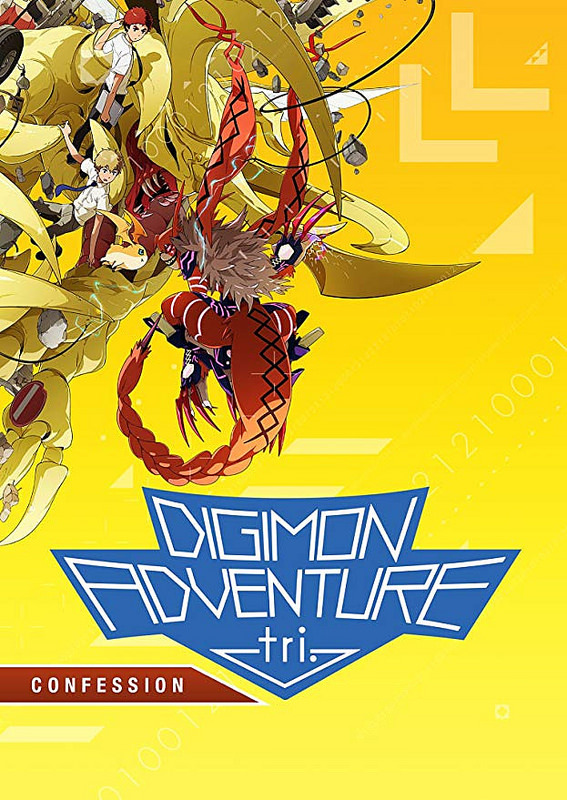 First is TK and his controversial choice is to keep the fact that Patamon is infected from the other Digidestined since they may try to run experiments on Patamon or even delete him. The “heroes” have discussed this in the past so it’s not too far fetched. TK also does make sure to take Patamon away from the others so he is being careful not to spread the infection. Naturally the characters aren’t thrilled about this, but TK absolutely made the right choice here. I wouldn’t trust the other Digidestined as far as I can throw them. Patamon is TK’s best friend as well so that bond’s more important than letting the others down. Especially since TK and Kairi have crests that work like friendship he should be able to overcome the dark impulses that are plaguing Patamon. So, I’m on TK’s side 100%. As for Izzy, I’m basically in the opposite boat here. He’s always the character who ends up panicking and cracking under pressure. It’s a trait that is usually associated with the smart member of the group and unfortunately he was no exception. The computer simulations start to get to him so he pushes everyone away and snaps at them. It just doesn’t do his character any favors, especially since he never sincerely apologizes about the whole thing. His mindset is the opposite of TK’s as he would likely not mind sacrificing the one to save the rest while TK sides with his partner. Different methods for trying to do the right thing, but I certainly have my preference. This film definitely has one of the better fight scenes. I’m not sure that I would put it ahead of the epic Alphamon entrance just yet but it was great to finally see all of the Digidestined team up. It’s the first time since the show at this point and it’s definitely nostalgic. A shame they were all so outgunned though, but it’s really the heroes’ fault for not going into their ultimate forms though. They just refuse to do so and I know that they like a good fight, but the fate of the planet is at stake so they gotta take this just a little more seriously. I definitely enjoyed seeing Meicoomon in action. He is definitely a solid fighter and the design for the Digimon is definitely on point. The writing is solid as you would expect. The mystery continues and all of the characters continue to stress each other out. I feel like Tai is definitely getting closer to regaining his fighting spirit. I think one more good talking to will likely convert him. That’s definitely a good thing because we really need the old Tai back if we want to win. Matt mentions how having the other Mega level Digimon being awakened will help since they may not need Alphamon, but at the end of the day he is still their best weapon. Normal Mega level Digimon aren’t even close to as strong as Alphamon. Also, the heroes never even use their Mega except for at the very end so I doubt we will be seeing them all that much. This film was longer than the first 2 which is good since it was able to fit so much in that way. The pacing is solid all the way through so don’t worry about it dragging on or anything like that. I would like to see the DigiDestined take a more active role against the government though. So far they just accept everything they are told and aren’t actively trying to fight off the infection. (Aside from Izzy who is trying to find a cure) The heroes should be shaking people down and finding out answers. Starting with the people monitoring them makes sense since the government is currently keeping a whole lot of information from them. I suppose this won’t be an issue going forward since the heroes are finally back in the Digital World. They should have a lot of experience here so I’m looking forward to seeing them really make a dent in the villain’s plans and also figuring out the answers to all of their questions. Also, Tai seriously can’t complain about city destruction now that he’s off Earth right? Overall, Confession does a good job of continuing the adventure. It makes a good case for possibly topping the first film. Those two are pretty neck and neck at the moment. The first film has an edge in having the single best sequence out of all the films when Alphamon arrives, but the third film got to jump into the plot a lot faster without needing to take time for introductions. It’s a tough call of course and I look forward to the next 3 films making that decision even tougher by keeping up the quality. It’s definitely been nice to have the Adventure cast back for so long with these 6 films and they aren’t going anywhere for a while.